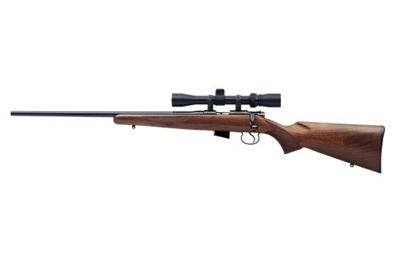 Though the right-handed versions of the 452 American has been transitioned to the 455 line, the left-handed versions of the CZ 452 American are still available. This model of our rimfire has 3/8? dovetails milled into the receiver for mounting scope rings.